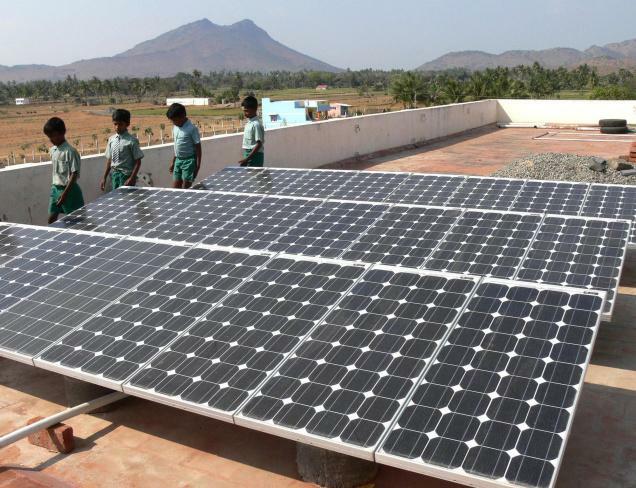 Government of India has setup an ambitious target of installing 100 GW of Solar Power by 2022, which include 40GW of grid connected rooftop solar (RTS). The rooftop solar sector has tremendous potential for generating decentralized and distributed solar power by utilizing the rooftop and vacant areas of industrial, commercial, residential, institutional, social and public buildings. Government of India directs agencies to geo-tag all the rooftop solar installations in India to better utilize tremendous potential of distributed PV. All renewable energy projects and resources in India will be geo-tagged as per an official directive of the Ministry of New and Renewable Energy (MNRE) asks all its channel partners, state nodal agencies (SNA), public sector undertakings (PSU) and other implementing agencies to contribute to the geotagging project. To effectively implement the target, the Prime Minister’s Office (PMO) will directly monitor the progress through Geo-tagging of all renewable energy projects and resources. Necessary steps have to be undertaken for rooftop solar projects for subsidized and Non-subsidized categories. Under subsidized category, SNAs/PSUs and other implementing agencies are directed to regularly update details of commissioned projects in SPIN portal of MNRE with additional details such as Latitude-Longitude of site and photographs of the project.